Continuing our series on regional Amish populations (if you missed them, read more on Amish in the South and West), today we look at the Northeast. In this region of nine states, we find two of the most significant “Amish states” – and two with quite small, but growing, populations. Is the Northeast in general an attractive area for Amish? Going by population density, six of the top ten most densely-populated states are in the Northeast (Maine, Vermont and New Hampshire are the outliers, ranging from #21 to #38). So generally speaking land prices are going to be higher than in less populated areas, not too mention there being an overall lack of rural land and farms. That likely explains, at least in part, why only four of nine Northeastern states have Amish communities. 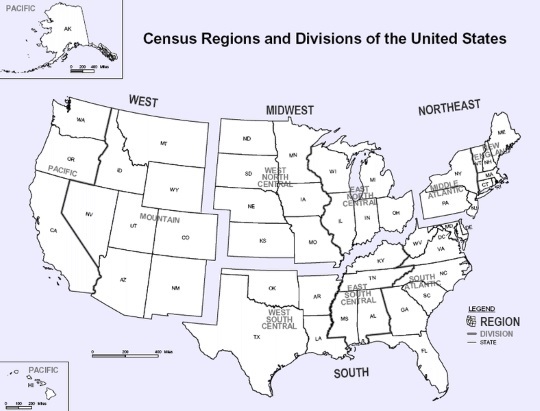 However states are not uniform. For instance while NY has a high population density, most of that is concentrated in the NYC area, with much of upstate New York a completely different story. Amish have in turn been drawn to the available land and dormant farms of the Empire State, revitalizing communities as they find less-cramped quarters to raise their families and run their farms and businesses. 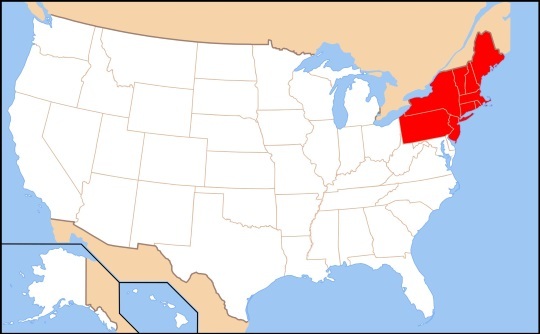 Here are the four states in the Northeast where you’ll find Amish, in order of greatest-to-least population. Numbers are taken from the Young Center Amish Studies website. 1. Pennsylvania (56 settlements; 76,620 Amish) – Pennsylvania is the quintessential Amish state, home to the largest Amish population and oldest communities. 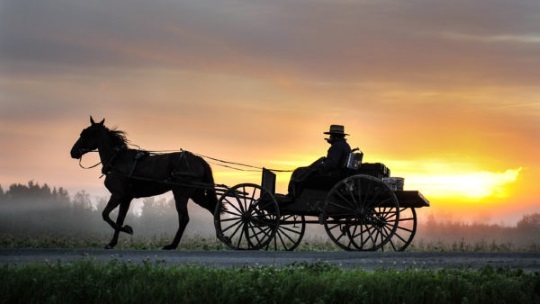 Besides the Lancaster County settlement, Amish live in over 50 locations statewide. 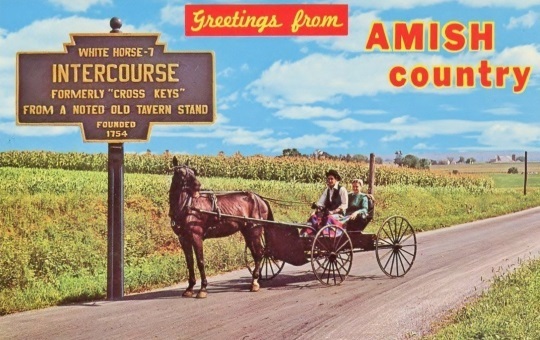 Notable communities include the diverse Big Valley region, the Somerset County settlement (with its unusual church house custom), New Wilmington, and the Crawford County area, home to 7 distinct Amish settlements. 2. New York (58 settlements; 19,835 Amish) – The Empire State has the fifth-largest Amish population, lying behind only Pennsylvania, Ohio, Indiana, and Wisconsin. It’s attracted a lot of new Amish residents in recent years. Larger communities are found at Conewango Valley and Heuvelton (St. Lawrence County) on the Canadian border. 3. 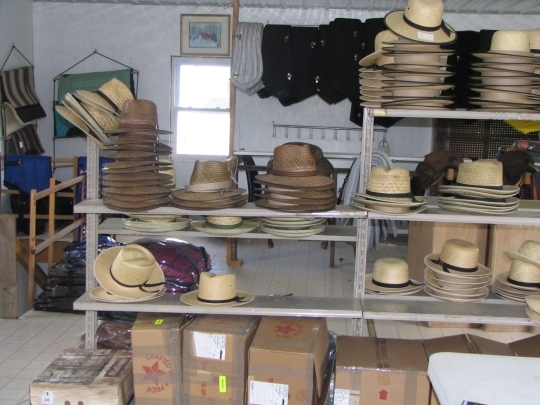 Maine (6 settlements; 755 Amish) – Amish have steadily added new communities to the Pine Tree State since the state’s oldest was settled at Smyrna Mills in 2000. For a lightly-populated-by-Amish state, Maine’s Plain People get a good amount of media attention, with repeated coverage of communities including Fort Fairfield and Unity. 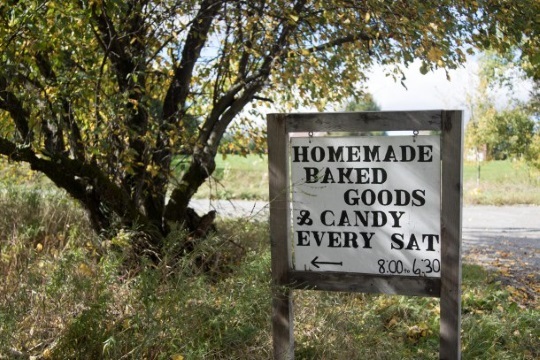 One of our readers made a visit to the Unity community and reported on her visit to a local bakery and woodworking shop. Two Unity residents have gotten a lot of attention in recent years, but for quite different reasons – Matthew Secich, convert to the Amish and owner of the Charcuterie meats and cheeses shop, and “Amish atheist” Kenneth Copp. 4. Vermont (1 settlement; 55 Amish) – Vermont has the lowest estimated Amish population of the 31 states which Amish call home. They’ve settled in one location in the scenic Northeast Kingdom area, and may soon be adding a second settlement. We need an Amish colony in Rhode Island I can picture the Amish taking to aquaculture very well. Would be interesting to see that Nick, both for the aquaculture and for Amish in RI as the second most-densely populated state. It would be a wonderful thing but there is no way. The state of Rhode Island is densely populated, small and I could never see horse & buggy’s even being allowed. People drive fast and what few semi-rural backroads they are windy and narrow. Accidents occur on a regular basis such as people hitting trees etc. Being from New England I am so happy they are now in Maine and Vermont, lots of very nice farmland and much that has been abandoned from farmers of long ago whose children did not want that kind of life. So so many dairy farms now closed, beautiful old barns just sitting empty. Rural with roads that can accommodate horse and buggy’s. Northern New Hampshire would also be a great area. But Rhode Island no way.Far Western Massachusetts but farther up north would be better choices such as Maine, Vermont and New Hampshire. Beautiful country it is. Eric, when information such as this population data is presented, is it strictly Amish or does it include some Mennonites as well. I recently became acquainted with a group of conservative Mennonites in western New York State that I previously thought was totally Amish. These people us animals for transportation and farming. So in this respect, they are detectable from the Amish only by the astute, noticing such things as lack of facial hair and dress differences. Bob good question, it is strictly Old Order Amish (and when I say Old Order, that also includes the groups called New Order, which are similar to Old Order in most ways including horse-and-buggy travel). This leaves out for example Old Order Mennonites and groups that are Amish-like in their culture and ways but not recognized by other Amish churches. I respectfully disagree. The largest Amish settlement is in Wayne and Holmes counties in Ohio. Lancaster is second with northern Indiana-Goshen,Lagrange,Nappanee, Bourbon.Etna Green area third. Thank you. It’s true that Lancaster County and Holmes/Wayne County are quite close in size, and in the past it was arguable which one may be larger (see this post from 2010 when they were estimated to be essentially the same size: http://amishamerica.com/pennsylvania-amish-edge-out-ohio-in-latest-amish-population-figures/). More recent estimates which these posts are based on have however placed Lancaster a bit ahead of Holmes/Wayne so that’s what was used here. Third is the northern Indiana area of Elkhart/Lagrange Counties, but the Nappanee area is not included in that as it’s considered a separate settlement (though it’s true that the edges of these settlements have gradually grown quite close to each other and may have even “touched” by this point, historically they have been considered two separate communities). I am delighted to welcome the Amish and Mennonites to the Finger Lakes area of NY state. They only make our area of NY more beautiful & farmland productive again. Bless them all!